A huge challenge for supermarkets today is balancing the needs of the customer against their ability to serve such needs. 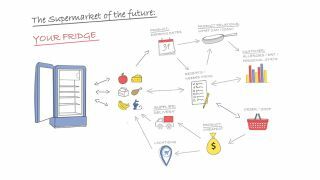 The question which needs to be answered is: how are supermarkets and food manufacturers preparing their business for data-readiness? Consider the large range of products that can be seen at the average grocery store. The sheer number of categories is staggering, before you even consider the quantity of items in each category. It is therefore hardly surprising that supermarkets are struggling to capture and analyse the vast amounts of product data on their store shelves. Then, think about the various kinds of information supermarkets need to include, to sell products both in-store and online. Now add to this the kinds of information supermarkets could include in order to present a competitive advantage over and above the rest: ingredients, additives, images and videos, marketing copy, gene manipulation information, references, product seals, allergens, nutritional facts, translations, product categories, expiration/use-by dates, variants, region-specific information, GSDN information (Global Data Synchronization Network) and many more. It becomes clear that managing this amount of data quickly becomes a very complex task, and many supermarkets fail to implement technology which could help them manage this process efficiently. The necessity for retailers to differentiate themselves and to create a unique customer experience is augmented by another aspect: Due to the increased transparency brought on by the 'Google Era', retailers have experienced a marked decline in customer loyalty. Omnichannel shopping behaviour and the possibility to easily compare prices has led previously loyal customers to shop elsewhere. The major supermarket brands have comprehensive customer loyalty programs and they are building on these with added products, such as consumer insurance packages. However, these initiatives have not automatically led to an increase in loyalty. So what is the solution? Putting customers in the centre of all retail activities may not be a new trend, but in order to achieve it, retailers must foster more intelligent touch points. The supermarkets of the future will combine both product and customer data in such a way that every touch point presents a uniquely personalised experience for the customer, and a single, 360-degree view of the customer to the retailers. They will then be able to send recipe and shopping list recommendations directly to the shopper's preferred device, taking into account any allergies, delivery preferences, the time of the year and calendar invitations. This is why Product Information Management (PIM) is becoming a significant focus in effective omnichannel initiatives. This evolution will slowly lead into another phase of loyalty marketing: gamification. Comprehensive and detailed product data will form the basis of a loyalty program that includes targets, goals and rewards for loyal customers. The more comprehensive and engaging these shopping 'games' become, the more successful they will be from a marketing and loyalty perspective. Ultimately, supermarkets are already on the path of improving consumers' shopping experience. Some of the emerging technologies indicate the way this industry will continue to evolve.